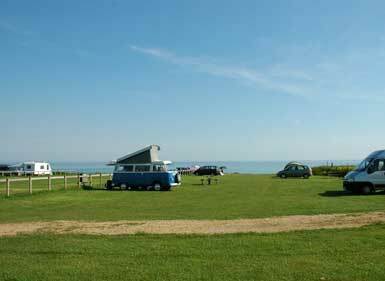 The camping and caravan site at Grange Farm lies in an area which has been designated an Area of Outstanding Natural Beauty, as is much of the Downs. Tents, motor caravans and touring caravans are accepted. The camping site is level and overlooks the sea. Cars are parked beside the tents or caravans. Access to the sea is just a short walk (100 yards) down the coastal path. Our shower block comprises of: FREE showers, shaver points, wash basins and toilets. Our small launderette comprises of: a coin operated washing machine, tumble driers, spin drier and ironing facilities. We have dishwashing sinks and laundry sinks also for your use with free hot water and a coin-operated bath as an added luxury! We have 4 Barn conversions at Grange Farm - Haybarn, Stables, Dairy & Cabin. They are all centrally heated. Haybarn - 6/10 berth 4 bedrooms (all upstairs) 2x bathrooms (one upstairs one down) Stables - 7 berth 3 bedrooms (all upstairs) Dairy - 6 berth 3 bedrooms (2 upstairs 1 downstairs) Cabin - 6 berth 3 bedrooms (all upstairs) The Static Caravans at Grange Farm are set on a plateau where the Brighstone Life Boat Station was situated many years ago, All of the Caravans have good views of the Sea and Chine, with very easy access to our sandy beach (see Brighstone Bay). We have 11 Static Caravans on the plateau, ranging from about 3 years old to approx 10 years. There is also wooden walkways running alongside the statics. DOGS - we do take dogs, but only in 2 of our static caravans.